Hotels across London are being visited by police this week, as part of a role-playing exercise to ensure staff know what action to take if they suspect a guest is booking a room for the purposes of child sexual exploitation (CSE). To ensure CSE awareness and vigilance remains high at the capital’s hotels following a similar large-scale operation run by the Met last October, plain-clothes officers have been making unannounced visits to hotels in the company of young people (volunteer police cadets), and attempting to book a room in circumstances which hotel staff should recognise as indicators that child sexual exploitation might be taking place, resulting in them raising the alarm and contacting police. Around 100 officers from across the Met and 30 cadets are taking part in the 10-day operation which started on Friday, 15 March and will continue throughout this week across London. Visits to around 100 hotels are planned. Many of the venues being attended have previously received training under Operation Makesafe, an awareness campaign and training resources developed by the Met which gives guidance to business proprietors around how to spot the signs of CSE, and what action they should take. The operation is running in the wake of National Child Sexual Exploitation Awareness Day, marked across the country by police forces and other child safeguarding agencies on Monday, 18 March. Chief Superintendent Helen Millichap, the Met's lead for CSE, said: “This operation is part of our ongoing commitment to safeguarding young people, and raising awareness in the business community of CSE, and how they can help stop it. “The aim of operations like this is to ensure that businesses know what possible CSE warning signs look like, and that their members of staff develop these instincts and feel confident and assured about acting on them to protect a young person who is potentially at risk. “By carrying out these operations we are keeping the issue fresh in the minds of those who can take positive action, and we will continue to work closely with the hotel industry which supports our efforts. Chief Superintendent Millichap added: “The ultimate goal is to prevent CSE happening in the first place, which is why we rely on everyone being alert to some of the ways that children could be groomed, and know what to do if they think that CSE is happening. “Where CSE offences are being committed, we need people to report their concerns to police right away so we can take action – we know it is a type of crime that is significantly under-reported, and we rely on getting information from the public. Officers from City of London Police and British Transport Police are also taking part in the operation, with additional support and training from child protection charity Barnado’s. Detective Inspector Anna Rice, from the City of London Police, said: “We all have a role to play in keeping children and young people safe from sexual exploitation. We work closely with our partners in law enforcement, and local businesses and the community to raise awareness of this terrible crime and hope that by working together we can identify, protect and safeguard those who may be at risk. 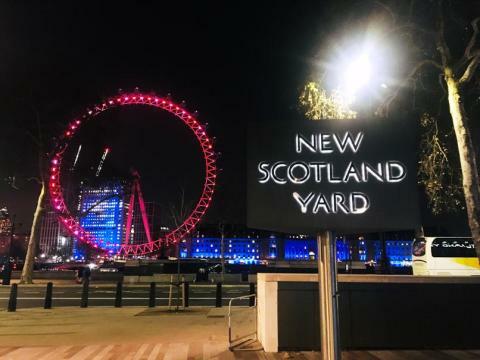 Lynn Gradwell, Director for Barnardo’s in London, said: “We are delighted to be working with the Metropolitan Police Service to provide Nightwatch training to officers in London. CSE is a form of child sexual abuse and can occur when a young person or group of young people are manipulated or deceived into sexual activity. This can be by an adult but young people can also be exploited by other young people or peer groups. It often involves the young person being offered drugs, alcohol, money or gifts, or friendship in return for engaging in sexual activity. CSE can be committed through the use of technology without the child realising that they are being exploited. For example, the victim may be persuaded to post sexual images on the internet or send them via their mobile phones. In the last five years since 2014, crime reporting linked to child sexual exploitation has increased by nearly 50%.